Back in the day, when I had an interest in sponsoring giveaways, I sponsored a giveaway on behalf of Zemana AntiLogger. Without a doubt, this was the most professional giveaway I have ever had the pleasure in sponsoring. Zemana set up a special page on their site, specifically designed for the sponsored giveaway which led to 2000+ downloads through that page. 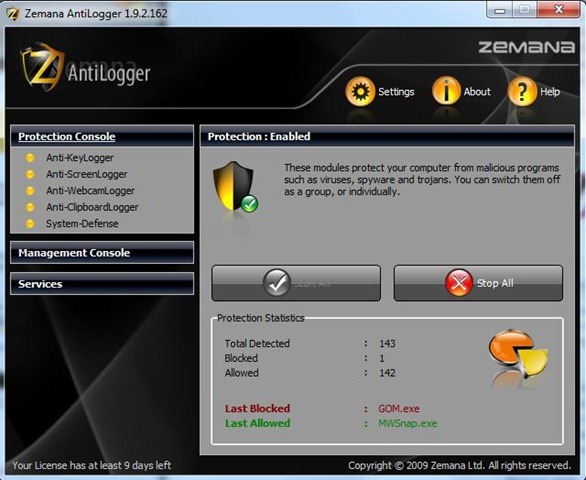 I’ve long considered Zemana AntiLogger a must have security application for my Internet connected machines. In fact, I would never connect my web cam without first ensuring that Zemana AntiLogger was up and running. To drive home that point (and others), I’ve reviewed this application several times. Today only, a one year license is available at no cost through Glarysoft (the Glary Utilities folks). Rather than reinvent the wheel, it seems appropriate to rerun the following review which was initially posted January 9, 2010. Take a read, see what you think – and, if you’re convinced that Zemana AntiLogger would be a worthwhile addition to your overall security structure then, take a run over to Glarysoft and download this super security application. Note: During my initial testing of this application, I ran a series of Anti-Keylogger tests, including tests for web cam penetration. 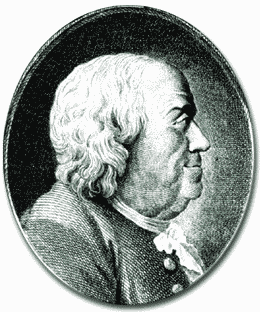 All test methods were defeated by Zemana AntiLogger. Curing a malware infection caused by today’s sophisticated malware is much more difficult than it has ever been, and I’m convinced, that removing the malware we’re going to have to contend with in 2010, will be incrementally harder still. Even today, malware tends to write itself into multiple parts of the operating system, and in many cases it can hide its files, registry entries, running process and services, making the infection virtually impossible to find, and remove, without causing operating system damage. In the coming year, an average computer user who has to deal with even more complex malware infections, will be left with little choice other than having the infected machine worked on by a certified computer technician, who will have the tools, and the competency, to determine if the infection can be removed without causing system damage. We’ve previously discussed Keylogger malware here, and how to employ an ounce of prevention by using highly regarded SnoopFree Privacy Shield, a free application, which unfortunately, is compatible with Windows XP only. Because Keyloggers, a particularly sinister type of malware, that monitors every keystroke a user types on a computer’s keyboard, are often executed as part of a rootkit, or a remote administration (RAT) Trojan horse, they can be extremely difficult to detect, and remove. While it’s true, that many good quality malware and spyware detection tools should capture Keyloggers, and a properly configured Firewall should prevent all authorized connections, the reality is – this is NOT always the case. Keyloggers in fact, can disable Firewalls and anti-malware tools. Since my personal home machines now run on Windows 7, I can no longer protect against Keyloggers using SnoopFree Privacy Shield, so I had to find an alternative. Unfortunately, I could not find a freeware substitute application. However, I did find a competitively priced application, Zemana AntiLogger, following a reader’s recommendation, which I’ve been testing for a week or so. I was immediately impressed by this application, particularly the system defense function. The application intercepted proposed changes to system files NOT picked up by other security applications on my system. Since I use a Webcam extensively for communicating, I was more than happy to see the active Webcam protection offered by Zemana AntiLogger, which was immediately apparent. This is an example of a Zemana warning, triggered by my launching an anonymous proxy application which by design, injects code into my primary Browser. By checking an appropriate check box I established a rule, permitting this action in future. This is an example of a Zemana warning, triggered by my updating both Microsoft Security Essentials and Malwarebytes definition databases which, in each case, will make changes to system files. Simply checking a check box establishes a rule, which will permit this action in future. This is an example of a Zemana warning, triggered by a screen capture utility I was in the process of using. If this had been an illegal activity. I would of course, have received the same warning. Again, simply checking a check box establishes a rule, which will permit this action, by this utility, in future. System requirements: Windows XP with Service Pack 2 or higher (32bit and 64bit). Vista (32bit and 64bit). 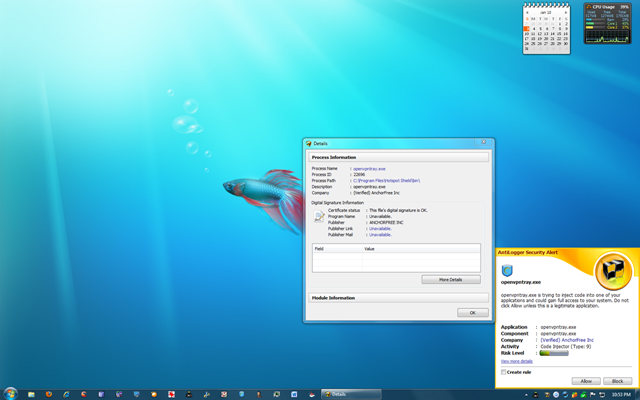 Windows 7 (32bit and 64bit). Windows 8 (32bit and 64bit). If keylogger protection, and maintaining your privacy is a concern, you might consider adding this application to your security toolbox. No free technical support. No free upgrades to future versions. Strictly non-commercial usage. Software Giveaways! Freebies! Try before you buy! If you like it – pay whatever you want! And, I’m sure I’ve failed to list any number of similar marketing schemes. Who can keep track of them all. Internet users would be hard-pressed indeed, to have not noticed the proliferation of “giveaway sites” that have popped up over the last few years – some of which are simply trash – both in presentation, and selection. Personally, I have no interest in running an obstacle course (many of these sites test a user’s patience), to obtain an application I’ll likely delete from my HD within a few days. Nor, I suspect, do most users. Recently, I’ve noticed a type of strategic alliance between well established developers with a reputation for excellence and, lesser known (and perhaps late to the party) developers. For example, this past week Serif Software, in one of their occasional marketing emails, wrote – We’ve got great news! As a valued Serif customer, you can snap up Zemana AntiLogger for an amazing $19.99. Let me point out that Zemana AntiLogger is a “best in class” security application and, Zemana is not late to the party. (I’ll post a new review on this app in the next few weeks). Ah, serendipity. As I’m writing this, as luck would have it, I just received another marketing email from Serif – Award-winning TuneUp Utilities just CA$19.95 – that’s 60% off! Fix, speed up and maintain up to 3 PCs, all for just $19.95 when you download TuneUp Utilities 2013 today! That’s a massive 60% saving and $30 off the $49.99 list price, only with this special email offer. TuneUp Utilities – another outstanding application – familiar to regular readers, who will remember the free license giveaways we’ve sponsored here in the last few years. Glarysoft – the developer of the highly rated Glary Utilities (well know to regular readers here), has taken a slightly different tack (a strategic alliance nevertheless) – sponsoring a 24-hour giveaway program offering the pro versions of popular applications – FREE. Everyday the website will provide users with a 24-hour giveaway program. All of the programs that on the giveaway list are the pro version or non-free version. Generally, users have to pay to get it. During the 24-hour giveaway period, users can download the software from the website according to their specific needs without spending one penny. Users can see the software description, original price, time left and the Get it now button. When users want to know more details about this software, they can click on the button to the software page. There you can know the detailed info about the giveaway software and download it freely. Take a look at what’s on offer today, and through the coming days. Aunsoft SWF Converter on January 10, 2013 – Original $69.00. Now Free! Supports latest devices: iPad, iPod, iPhone 3GS, Android phones. USB Stick Encryption 4.0 on January 11, 2013 – Original $39.95. Now Free! 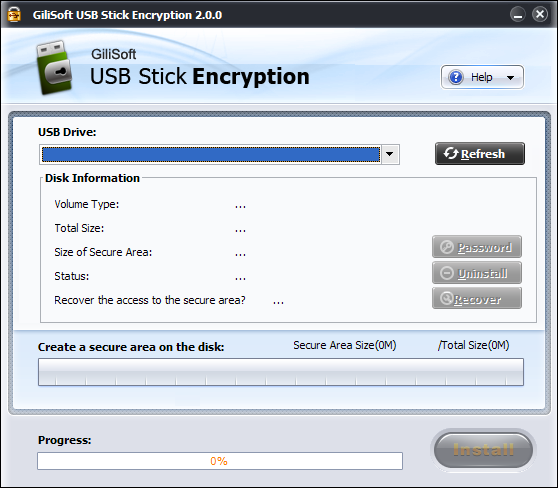 GiliSoft USB Stick Encryption helps you password protect USB drives, Thumb drives, Memory sticks, Pen drives, Jump drives and Flash drives. Tipard MOD Converter 6.1.52 on January 12, 2013 – Original $29.00. Now Free! Tipard MOD Converter is the best awards-winning HD video converting software for various video camera fans. It can convert MOD,TOD, MPEG, MPG, MPV, MP4, VOB, etc files to the popular video formats: MP4, MPG, MOV, VOB, AVI, 3GP, FLV, HD H.264, HD WMV, HD AVI, etc. Besides, it can help you convert videos to various editing software, like Avid Media Composer, Sony Vegas, etc. Moreover, it supports 4 languages and the latest portable devices: like HTC, Samsung Galaxy, iPhone 5, iPad 4, etc. 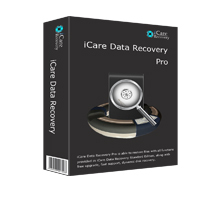 iCare Data Recovery Professional 5.0 on January 13,2013 – Original $89.95. Now Free! 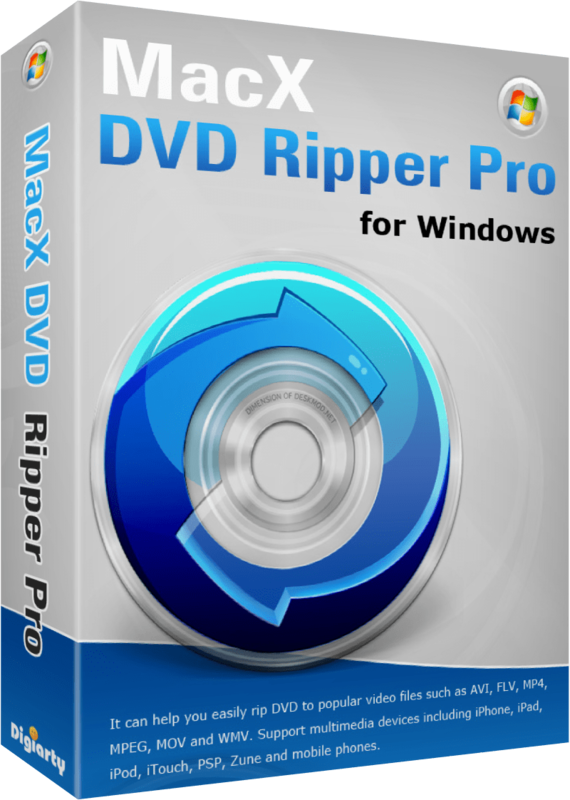 MacX DVD Ripper Pro for Windows 7.0.0 – on January 14, 2013 – Original $39.95. Now Free! MacX DVD Ripper Pro for Windows is an ultimate DVD ripping software to rip both homemade and encrypted DVD movies to all sorts of format like MP4, MOV, AVI, H.264, FLV, MKV, etc. It helps you to easily transfer DVD to video files playable on iPhone, iPad, Apple TV, Android, Microsoft, Sony devices, etc. You can also copy DVD to multi-track MPEG2 file with all videos/audios/subtitles within several minutes. So you can keep your DVDs safe from scratched, broken, and enjoy the DVD movies on the go. Password Organizer 6 – on January 15, 2013 – Original $19.99. Now Free! Your passwords are protected by the famous AES encryption (Advanced Encryption Standard) so that it is impossible to read your data without knowledge of your master password. If you like to export or print out all your passwords, of course 1-abc.net Password Organizer offers you such useful features as well. Secure and generate your password data, remember only one password and concentrate on other important things in life with 1-abc.net Password Organizer! To get free notification of giveaways on your desktop – download Glarysoft Giveaway. 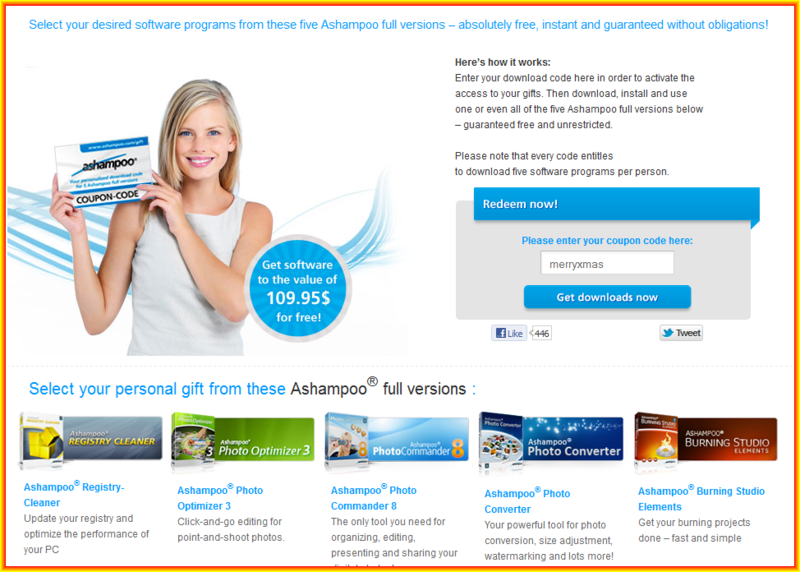 I first reported on this Ashampoo giveaway in early January, 2012, and while driving around the Internet today, I found that the original free offer is still valid. If you missed out – now is your chance to take advantage of this super offer. If you’re wondering if you should bother; here’s what regular reader, super user, and good friend, John Bent, had to say following the last free offer. I can endorse your comments about Ashampoo, particularly Burning Studio. I installed this a couple of years ago and liked it so much I upgraded to the paid-for version. Subsequent upgrades are a bit more than one third the cost. It’s not something I use daily but, when I do want to do some copying, it’s good to know I have something reliable in the locker. Anyone who is not familiar with Ashampoo’s products should certainly grab this offer. Ashampoo, is noted for developing top quality, easy to use applications, and periodically makes available free, current or previous versions of their retail products. This time round, Ashampoo is offering 5 of their applications, gratis (retail value $110, or so). I believe this a limited time offer and, there is no guarantee the offer will not be withdrawn without notice. Ashampoo Registry-Cleaner – Update your registry and optimize the performance of your PC. Ashampoo Photo Optimizer 3 – Click-and-go editing for point-and-shoot photos. Ashampoo Photo Commander 8 – The only tool you need for organizing, editing, presenting and sharing your digital photos! Ashampoo Photo Converter – Your powerful tool for photo conversion, size adjustment, watermarking and lots more! Ashampoo Burning Studio Elements – Get your burning projects done – fast and simple. If you’ve not used Ashampoo’s applications in the past, then you’re in for a treat. This company develops absolutely first class applications, and I recommend that you give all of these applications a try. To take advantage of this offer, go here and enter coupon code – merryxmas. I must point out that registration is required to unlock any application past the original 10 day trial period. You might consider this process a bit of a hassle. But, then again – maybe not. System requirements (all applications) – XP, Vista, Win 7. Ashampoo loves to remind you occasionally of the value of their full software lineup, so if you find it bothersome to receive this type of email, you’d be better off passing. Personally, I find it easier to stay in the loop on new software developments. Virtualization is all the rage. With good reason – this very cool technology, if used correctly, has the power to control malware intrusion through the use of a ‘”virtual” environment, rather than operating in a “real” environment. But, running in a virtual environment, provides an opportunity to do so much more than simply building a buffer between you and the bad guys. Program files, data files, and application directory structures can all be stored on a Virtual Disk Drive. So, what can you do with Virtualization Manager 12 Compact? As it turns out – quite a lot. To avoid any confusion – this application is a “Virtualization Manager”. You must have virtualization software such as, Oracle VirtualBox 4, Microsoft Virtual PC, VMware Workstation, VMware Fusion, already installed. Scenario 1: Use different operating systems on one computer. Virtualization allows parallel use of several incompatible operating systems on one computer. You can run Windows, Linux, Mac OS X inside of virtual machine on one host machine. 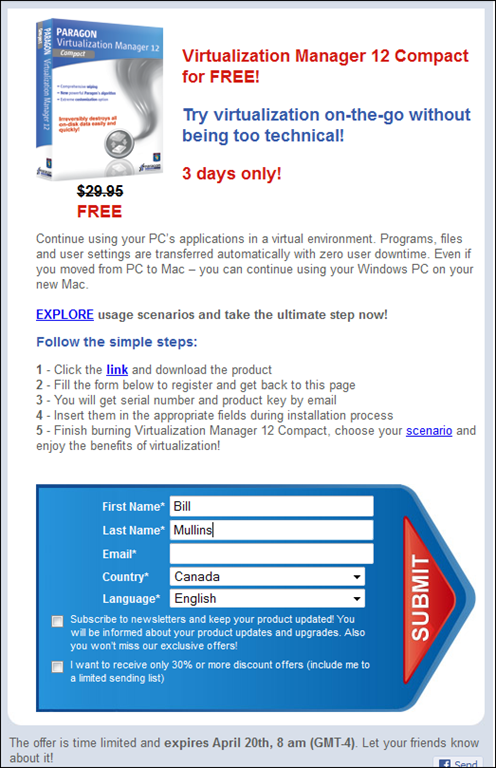 Scenario 2: Continue using your old PC’s applications – enjoy your favorite applications in a virtual environment on your new computer. When it’s time to upgrade to a new PC and operating system, you may find that some of your favorite applications haven’t been updated yet to work with it. 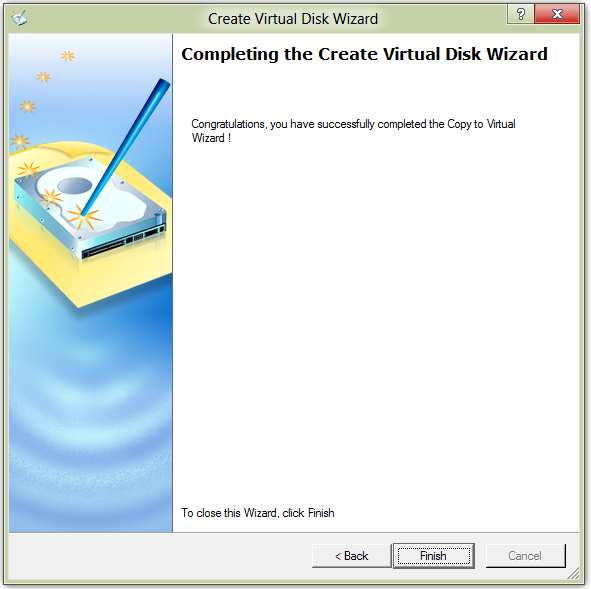 Using Virtualization Manager 12 Compact, you can make a virtual clone of your old system before migrating to a new computer. Take advantage of an up-to-date powerful computer while still having access to favorite applications from the old computer. 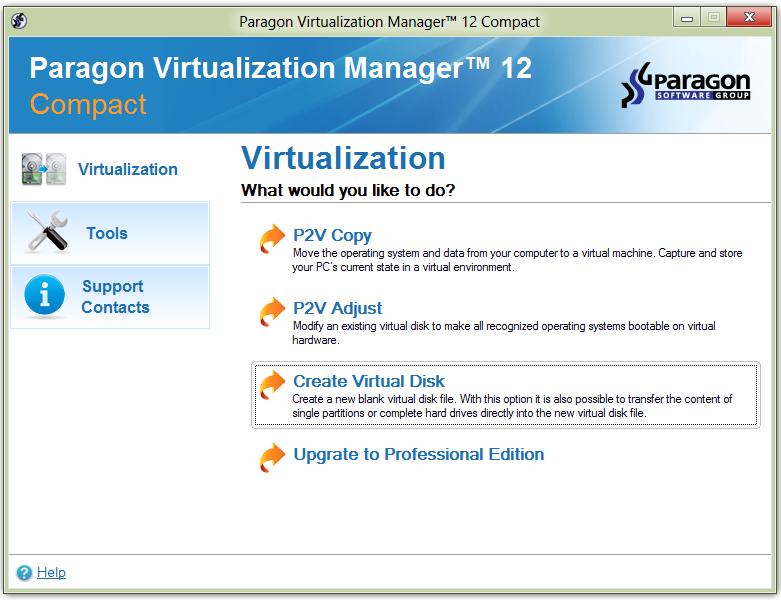 If your old computer is corrupted but you have a backup image of your old system made with Paragon software – you can virtualize it using Virtualization Manager installed on your new PC. Scenario 3: Safely evaluate new software. New software can be unintentionally harmful to your computer. You can easily avoid negative system conflicts by creating a virtual clone of your current physical system using Virtualization Manager 12 Compact. Try new software in a safe environment and decide whether it works and is exactly what you need before making it a permanent addition to your collection. If changes made on a virtual machine were successful you can just migrate your updated system from virtual environment to your PC. Scenario 4: Make a system bootable on different virtual environment. Virtualization Manager makes your system bootable when migrating to new hardware by automatically injecting the required drivers in your operating system. If you unsuccessfully virtualized your system with a 3rd party tool and it became unbootable, the problem can be resolved with Virtualization Manager. I have not tested this application extensively (just heard about this free offer this morning) – but, I have installed it and taken it for a quick run. Based on my initial impression I’ll give it high marks for ease of setup, and ease of use. The bottom line – a reasonably solid virtualization manager. 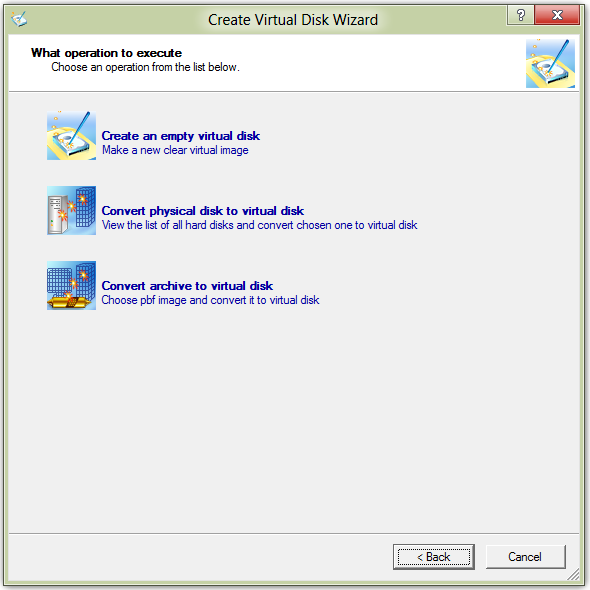 In the following example I’ve chosen to create a virtual disk. 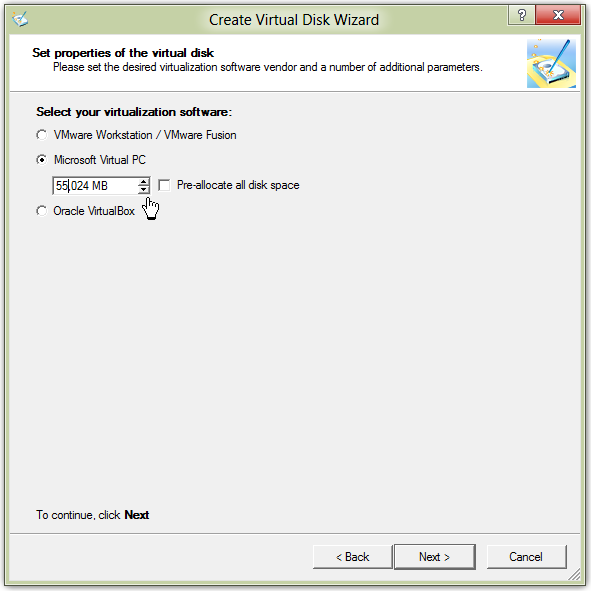 Clicking on this choice opens the “Create Virtual Disk Wizard” as shown below. I’ve set the initial size at 5 GB using Microsoft Virtual PC. You can download Microsoft Virtual PC – here. Done! How hard was that? System requirements: Windows 7 (32/64-bit), Vista (32/64-bit), XP Professional (32/64-bit), XP Home. Supported Virtual Machines: Oracle VirtualBox 4, Microsoft Virtual PC, VMware Workstation, VMware Fusion. This giveaway offer expires April 20th, 8 am (GMT-4). How to get Paragon Virtualization Manager: Go to the Paragon Facebook page – click the like button – follow the instructions. Here’s a sample of the process. Special thanks to regular reader Delenn13 for the heads up on this free offer. 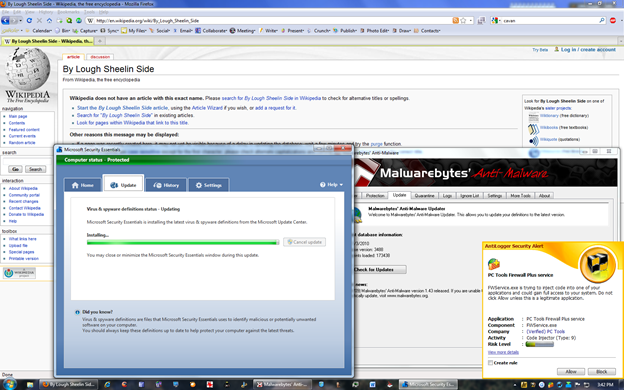 Today only, the giveaway site BitsDuJour is offering MailWasher Pro 2012, the highly rated anti-spam utility – FREE. The free licensed product can be installed on up to three machines. MailWasher has deservedly earned its reputation as one of the worlds top anti-spam products. With over 8 million users around the world and features on both BBC and CNN you can be confident that it is one of the easiest ways to get rid of spam. Spam can’t get to your inbox. Remove spam from its source before it even reaches your computer. You’ll Never suffer from spam in your inbox again. Advanced spam detection technology and tools do all the hard work for you by automatically marking spam emails and flagging them for deletion. Instantly preview all incoming email and decide what do do before it even reaches your computer. No more time wasted downloading annoying emails with huge attachments. No brainer setup. Quick and easy to use. So easy to setup and use. Automatically pull down all your mail settings and contact information so you can start blocking spam like a pro in no time. Please follow the download instructions exactly. Available languages: English, German, French, Spanish, Polish, Dutch, Hungarian, Bulgarian, Ukranian, Swedish, Russian, Czech, Norwegian, Armenian, Croatian, Danish, Japanese, Portuguese and Pirate! I’ve long considered Zemana AntiLogger a must have security application for my Internet connected machines. To drive home that point, I’ve reviewed this application several times. In fact, based on a number of recent web cam hacks (an event Zemana AntiLogger protects against), I currently have a new review in the hopper waiting for an appropriate time to post. 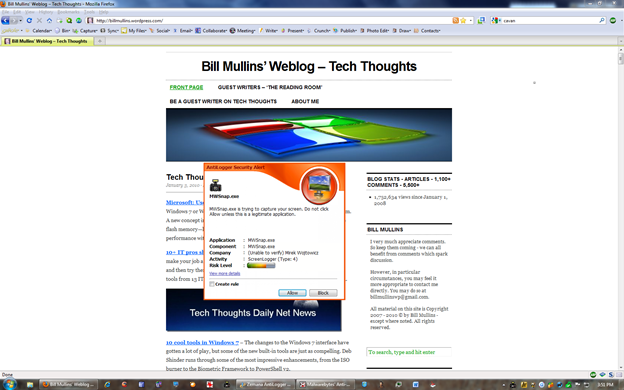 In the meantime, Delenn13, a super contributor to the Tech Thoughts community has, once again, passed on info on a freebie offer. This time for Zemana AntiLogger being hosted over at bitsdujour.com. According to Delenn13, there are roughly 18 hours left on this giveaway offer at the time of posting this notice. Zemana AntiLogger can significantly bolster your online security so, you should consider adding this application to your antimalware defenses. You can read a review of this application at bitsdujour.com or, you can read the following edited version of an older review previously posted here. While it’s true, that many good quality malware and spyware detection tools should capture Keyloggers, and a properly configured Firewall should prevent all unauthorized connections, the reality is – this is NOT always the case. Keyloggers in fact, can disable Firewalls and anti-malware tools. System requirements: Windows Vista, XP, Win 7. This offer is hosted in France but, the installer recognized my machine is “English” and installed the application accordingly. You will see the following form. Insert your email address – then hit ENTER. DO NOT click. You will receive an email with the license code and the following download links. You’ll notice that each link includes the “global” application. In other words, the OS will determine the appropriate language. Let me be clear – I am not advocating that you take advantage of this offer if you are not a student. Still, since we live in a world of “lifelong learning” – the definition of “student” is rather elastic. 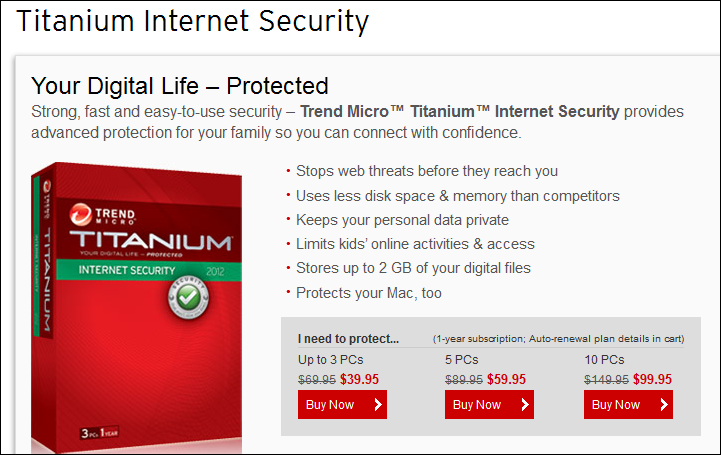 I have no personal experience with this application and can’t offer an opinion but, reviews of Trend Micro Internet Security are available at the following links.